As the season winds down, we have much more time to reflect on the season and brainstorm new ideas for next year! Mom and I got the chance to sneak away to a conference just for Flower Growers this past week! The ASCFG which is short for American Specialty Cut Flower Growers, is a fantastic association to be a member of. 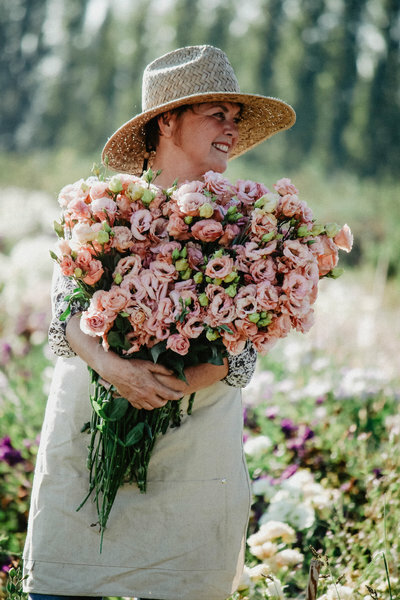 This is a group of fellow flower farmers that come together multiple times each year in different parts of the country to learn more about flowers, designing and networking. 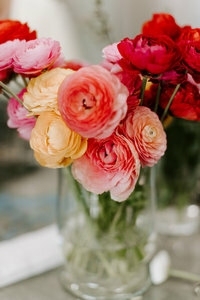 If you are looking for local flower farmers, check out their website! They have a vast list of farmers that might be near you! There are growers who are just starting out up to growers that have been here for 20 plus years. We all still have something to learn and something to gain and it so great to be around over 100 people that are just as crazy as we are about flowers! There were many speakers and we were lucky to get to tour one farm and 2 companies who propagate annuals and perennials and sell them nationwide. This Fall, the conference was held in Grand Rapids, Michigan. We met so many wonderful new friends and our heads are so full with information and new ideas! We are now rejuvenated and inspired for next year! We had a very eventful trip home, but we made it after being awake for almost 24 hours! I had not travelled with my wonderful Mom in awhile either and that is always interesting! We played lots of Sudoko, planned for next year, read a little and Mom even got some knitting in! I haven’t been away from my kids for a long period of time in years it seems. While it was nice to have a break, I was ready to be home again and get all of those missed snuggles in! Our first workshop at Floret in Mount Vernon, WA. This is where we figured out exactly what we wanted to do in the flower world!